While winter brings ski season, summer brings biking & hiking season! Red Clover is situated among mountain hiking trails and scenic walking routes suitable for all levels and abilities. Just minutes from the inn you’ll find over 30 thrilling mountain biking trails, ten designated hiking trails, an 18-hole professional golf course, and scenic lift and gondola rides. 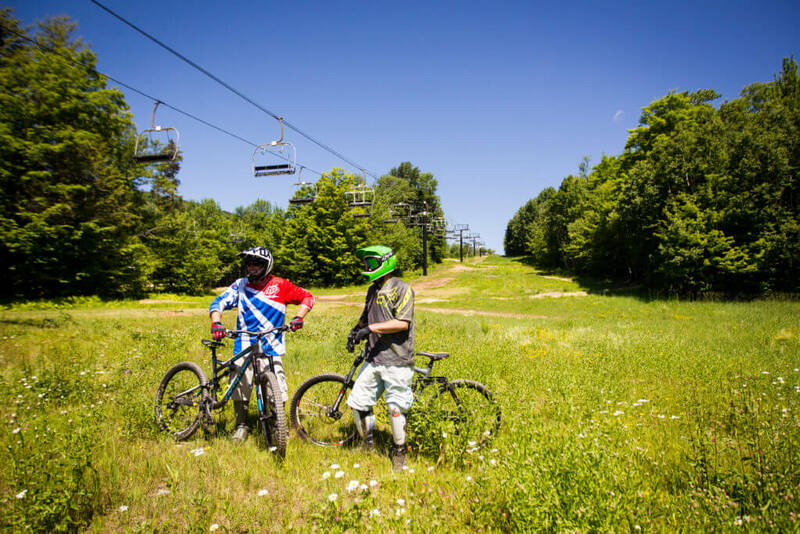 Summer brushes the Killington Resort with a different shade of excitement, with mountain biking on 36 trails, ten designated hiking trails, an 18-hole professional golf course, and scenic lift and gondola rides. The Killington Adventure Park features the Skye Ropes Course, a human maze, disc golf, The Beast fixed-rail mountain coaster, ATV or Segway tours, and fishing, kayaking, and paddle-boarding at the Snowshed Pond.